Europe abounds in beautiful, historic buildings. Many are highly prized and well looked after. Others stand empty and slowly decay. Still others approach actual collapse or are threatened with demolition. Some are well-known, others deserve to be much better known. 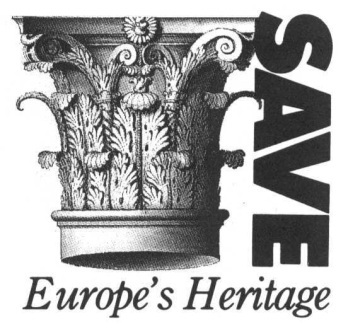 SAVE Europe’s Heritage was founded in 1995 as the sister organisation of SAVE Britain’s Heritage. SAVE Europe’s Heritage has published reports on endangered great houses in France and Hungary and a report on the threat to the landscape of the villas of the Veneto. With Moscow Architectural Preservation Society (MAPS) it has published a report on Moscow (now in its second edition) and another on the city of Samara titled Samara: Endangered City on the Volga . A new report Silesia: Land of Dying Country Houses was published by SAVE Europe in late 2009. MAPS and SAVE Europe's Heritage published St Petersburg: Heritage at Risk in 2012. Published to coincide with the 34th Session of UNESCO that took place in St Petersburg in the summer of 2012, this bilingual, lavishly illustrated book, emphasises St Petersburg’s greatness as a classical city, but also shows the importance of the city’s industrial and Soviet heritage, much of which is shamefully undervalued today. Please refer to the publications tab for further information.